Posted on Fri, Feb 24, 2012 : 9:44 a.m. Someone is throwing peanuts into the street in the Georgetown Neighborhood. By: MarieT: Who is Throwing Peanuts in the Georgetown Neighborhood? 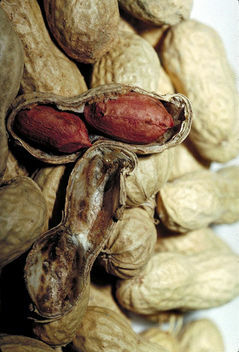 There are two children in this neighborhood that are severely allergic to peanuts (even airborne particles). While the intention is to probably feed the squirrels, we need to let the person responsible know that this could be potentially dangerous to some children. Three students from Central Academy in Ann Arbor have been named local winners in the 43rd annual America & Me Essay Contest, sponsored by Farm Bureau Insurance. By: dudell: Lenten Fish Dinners at Tippins Market!